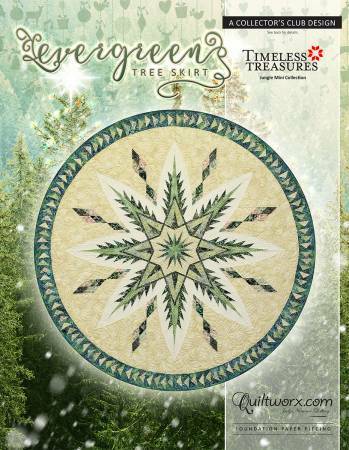 Evergreen Tree Skirt is a foundation paper pieced pattern. It is part of our Collectors Club Design. These designs are limited release meant to specifically showcase fabric collections released by Judy and Judel Niemeyer and Timeless Treasures. The patterns will be limited in quantity. Quiltster compatible!